The Agenses Toolbox exists of five packages. Designed to use in succession. Start with the Essentials and use our other packages when desired. To get to know Agenses Toolbox we offer you the Basic Erlang C Calculator for free. 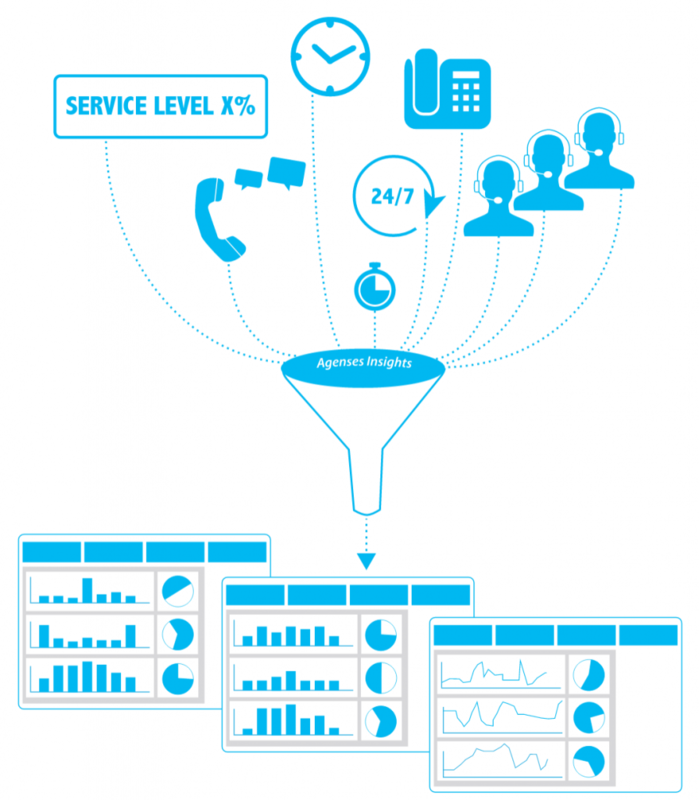 Easly calculate needed agents based on your desired service level. The Essentials every Contact Center Manager needs all bundled in one ready to use package. Designed to be used within minutes and deliver results in days! 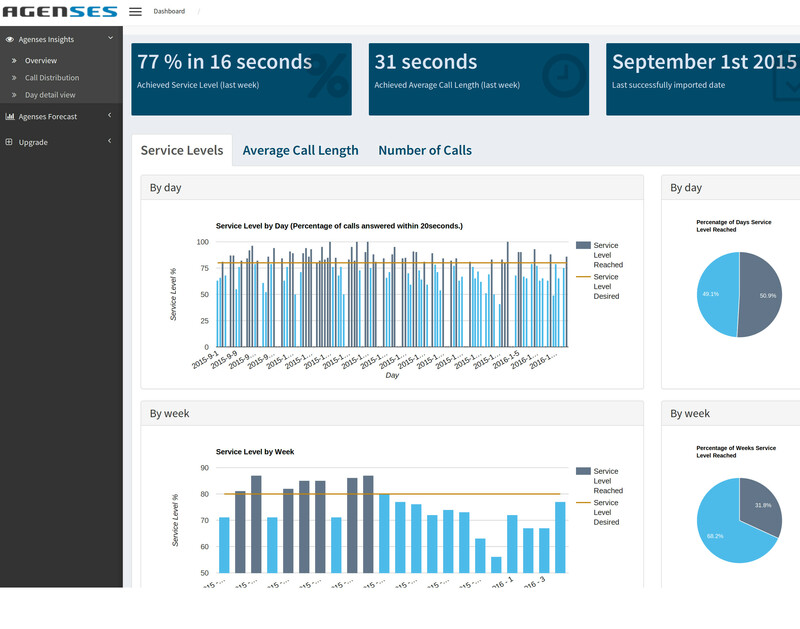 Easy to understand statistics so you can truly understand how your contact center performs. No difficult language guaranteed! We measure both quantitatively as well as qualitatively so you get a 360 degree overview! 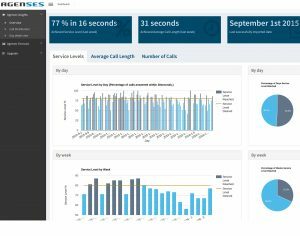 Forecasting of your future call load based on historic data. We do the forecast, you get a clear view and all the ability to adjust! Train only the employees who need it. Right at their desk when the call load allows for it! Get 30 days trial. No credit card required.